When it comes to office decoration, making spaces as comfortable as possible is fundamental to make people feel at ease to build projects and to generate and develop ideas. With this in mind, more and more people are choosing to give to work settings a smart, green touch, considering the importance of living in harmony with nature even when the office is located in an urban area. Bwild Collection has been created based on this very concept: a return to a natural look with a contemporary slant for a smoothly sophisticated style. The creative process turns the natural material into a unique product with ethno-chic inspiration, for delightfully engaging visual effects. Take a look at all concepts and natural elements that inspired the collection. 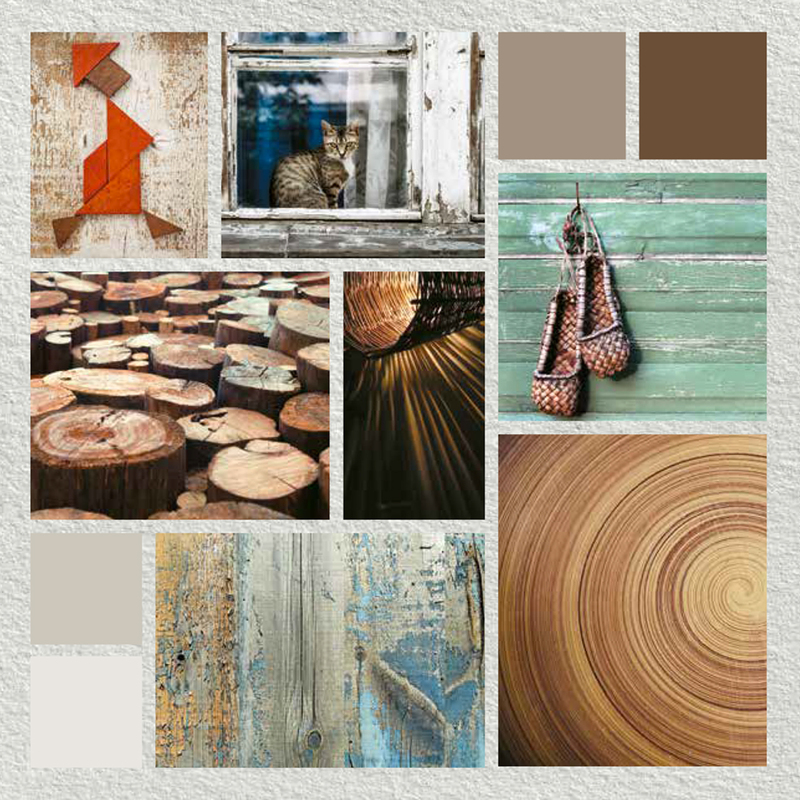 If your aim is to give to your setting a mix of modern and traditional elements, with a flavor of far-off lands, Bwild collection is perfect for your project: you will find several wood options – burnt, oxidized and hand-drawn brushstrokes – combined to create profoundly natural shifts of color. Perfect even to give a natural touch to a work setting. A range of colors that contains all the shades of the season, with each nuance helping to bring definition to sophisticated contemporary settings. Genuine shades, chosen to delight and to enhance living spaces with incomparable beauty. 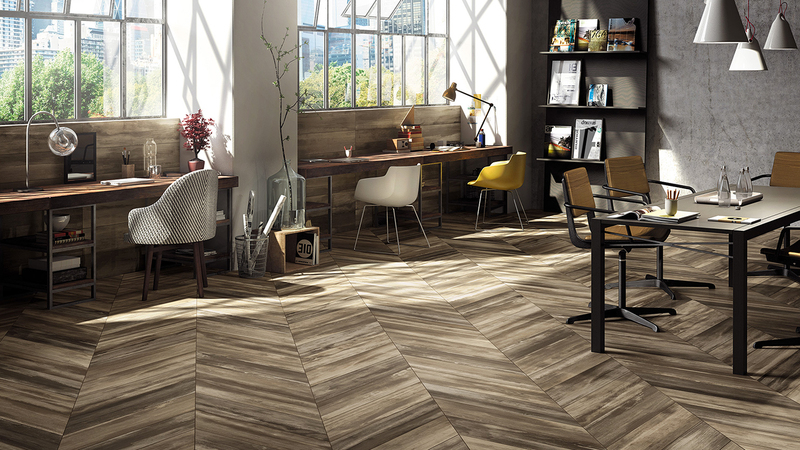 This wonderful wood effect is created with a porcelain stoneware product, more resistant and compact than wood. A perfect choice for home and office settings.